Equality has been an extremely hot topic over the past couple of years, with equal pay for both men and women taking centre stage, along with issues such as race and religious relations and employers attitudes towards sexuality and age. But what has been done to improve equality for those in the workplace that have a disability? And what examples of discrimination can be examined to understand more about what needs to be done within the employment sphere to ensure disability is catered for, and every employee is on an even keel – despite any physical impairments that they may have. This article blog post will attempt to breakdown some of the areas of confusion that may arise in relation to employment and disability, within the European Union. The phrase ‘Reasonable Adjustment’ has been a couple of buzzwords over the past decade or so, and many people seem to overlook what it actually means. It’s a common misconception that employees and business must – by law – make their properties fully accessible to persons with a disability. The truth, however, is that reasonable adjustments should be made where appropriate and where possible. So, to give an example, if your business is situated within an old (and often protected) building, then there is a high chance that adjustments such as installing a lift, may be completely impossible. 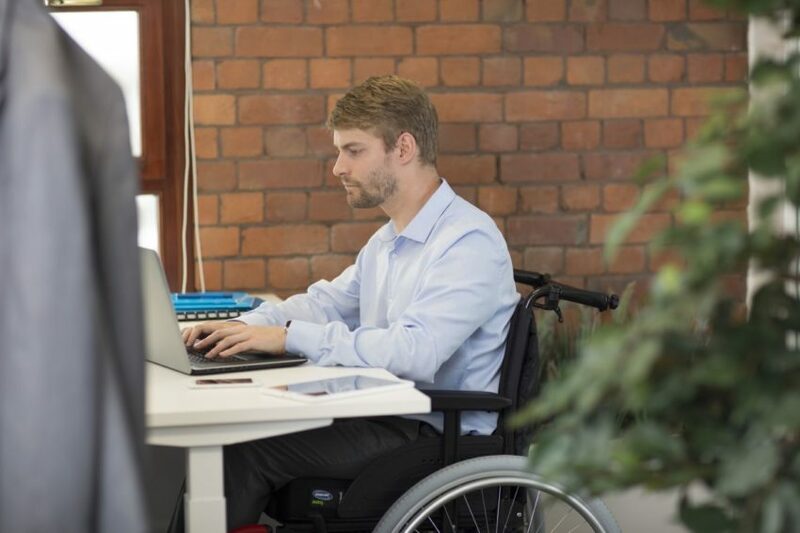 There are; however, some adjustments that definitely could be made, such as an adjustable desk for wheelchair users to fit to their perfect height in order to position their wheelchair comfortably. There are also a whole bunch of different aids that can be implemented for a disabled person to use within the workplace – including items such as a voice dictator for when inputting text onto a computer, or adjustable keyboards for those with wrist problems. The possibilities are nigh on endless, and so adjustments can always be made to a certain degree. It may be necessary to give staff members training and recommendations on how to behave around a person with a disability. 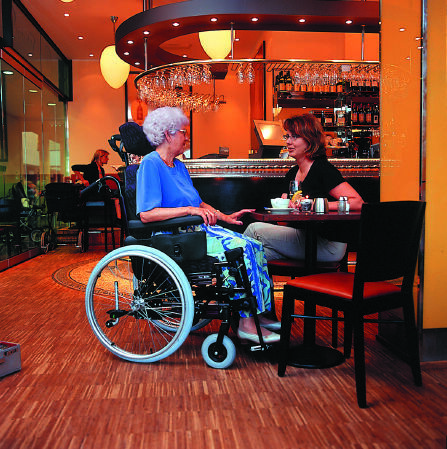 As crazy as it may sound, many people get things wrong when approached by someone in a wheelchair – such as bending over or crouching down to get down to eye level with the person in a wheelchair. This can often appear to be quite patronising, and subtle training/advice would help to overcome such instances. There are many other instances that could need to be ironed out within the workplace – and there’s a ton of articles relating to these scenarios which can be found online. Perhaps all it would take would be for staff members to take a look at such publications – so they’re more clued up on a personal basis. 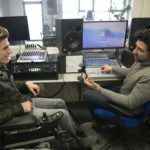 In the UK at least, there is a law which dictates that all persons with a disability should be granted a chance at an interview, if their qualifications and experience matches the requirements of the employer. This initiative was designed to help more disabled individuals reach the interview stage of a job application – but the law is often misconstrued by disabled individuals as a ‘free pass’ to an interview – whereas the reality is the disabled individual still needs to meet all other job requirements to be able to have a chance to automatically qualify for interview. If you enjoyed this blog post and found it informative, you can take a look at a multitude of different blog posts by heading on over to Invacare’s Passionate People blog site and choosing from any of the hundreds of posts published there. Posts such as “Employment and Disability: Aids,Schemes and Contacts for the World of Work” – may be of real use to you!